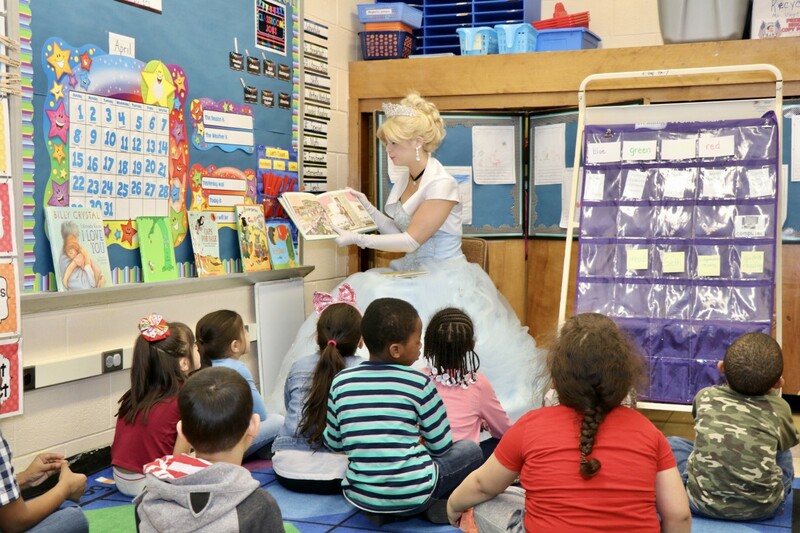 Temple Hill Academy Celebrates Read Across America! 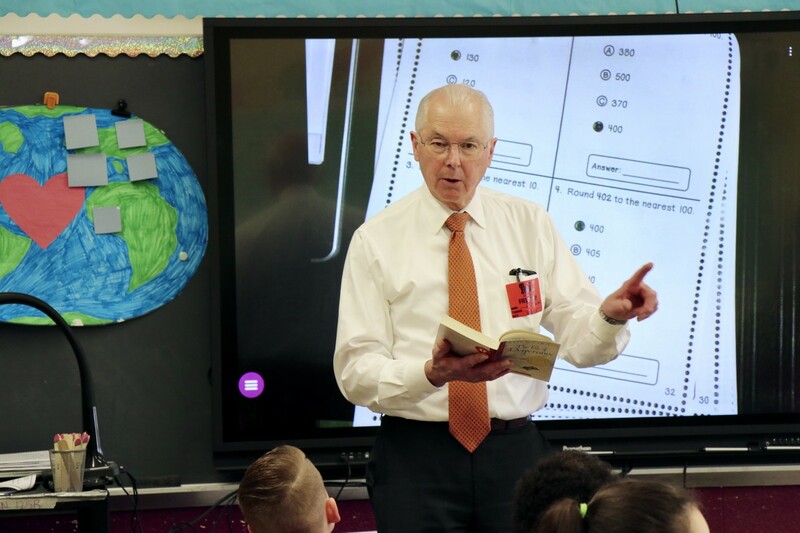 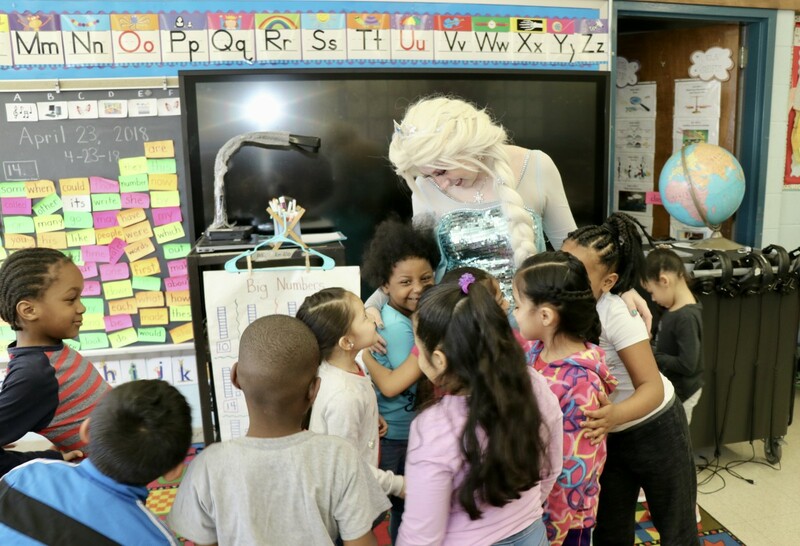 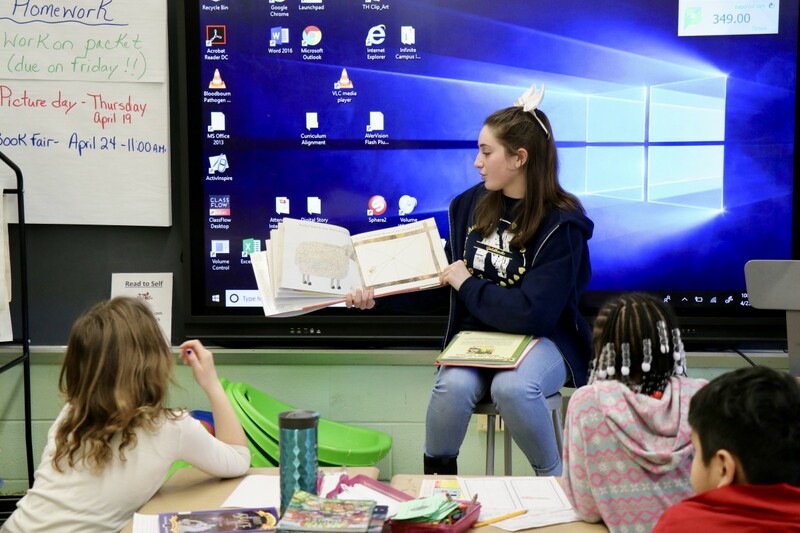 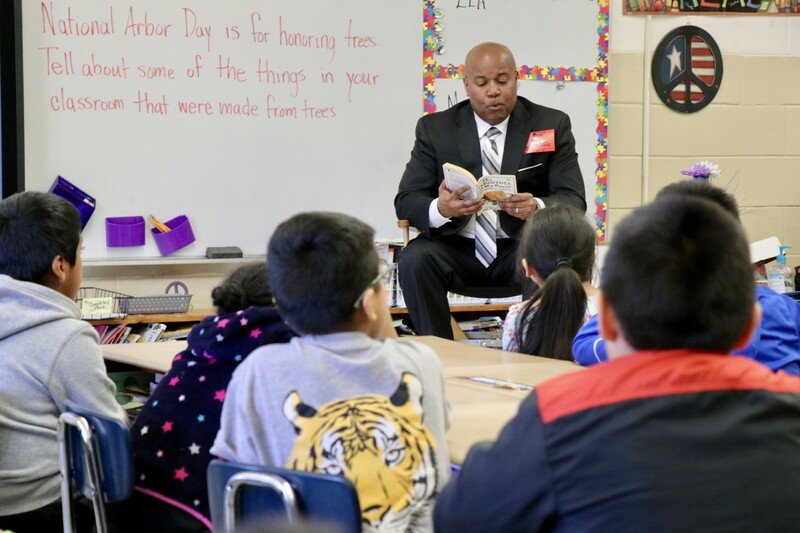 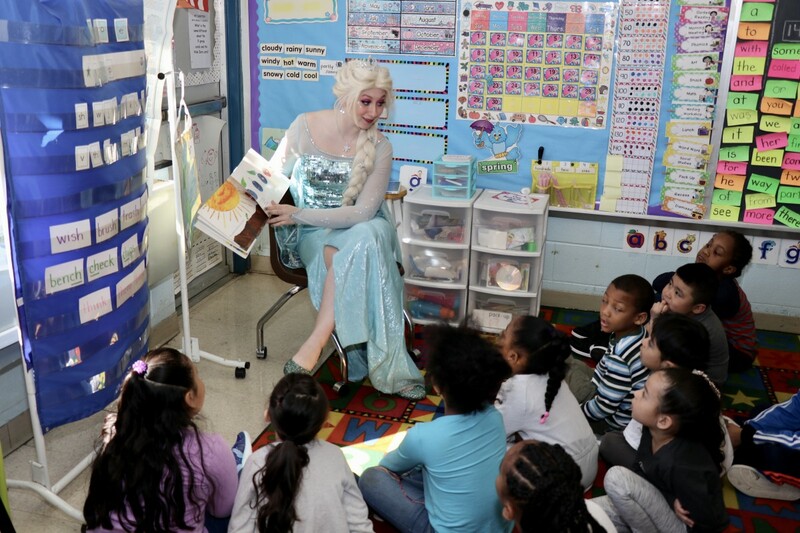 On Monday, April 23rd Temple Hill Academy held its 5th annual Read Across America event on World Book Day. 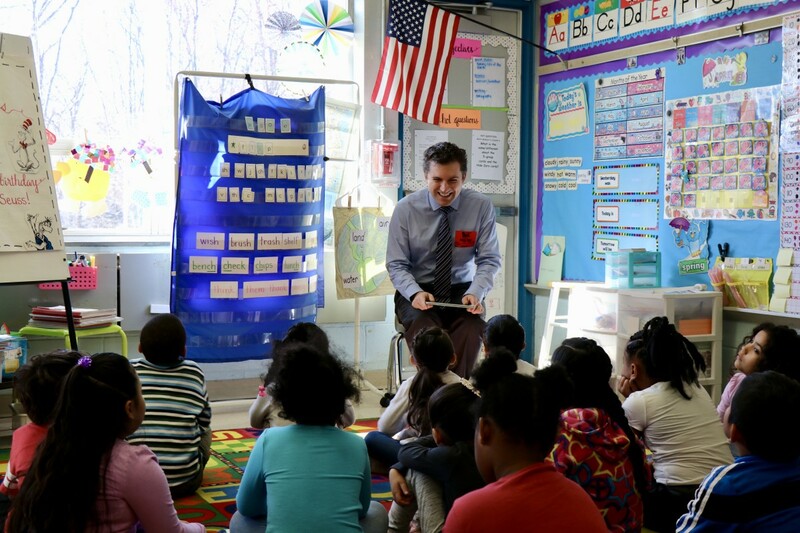 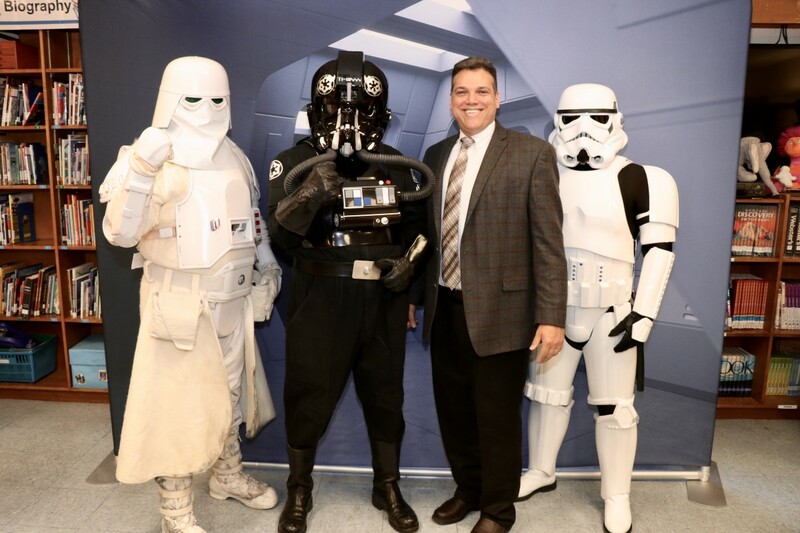 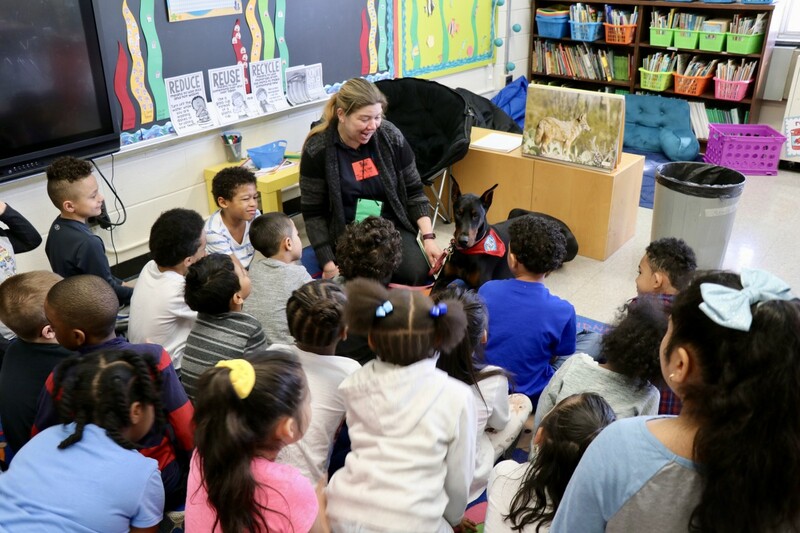 Classes in grades K-8 were treated to a host of over 60 visitors from right in New Windsor to across the galaxy as readers from New York Assemblyman James Skoufis from New Windsor to Storm Troopers from Star Wars read to our students. 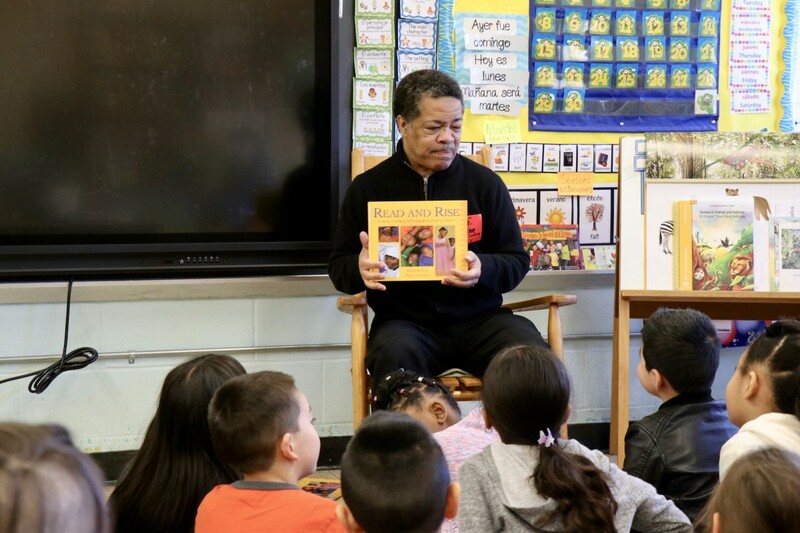 Other guests included NECSD Superintendent Dr. Roberto Padilla, SUNY New Paltz President Dr. Donald Christian, Board of Education members Mr. Darren Stridiron and Mr. Philip Howard, Directors throughout NECSD including: Dr. Linda Hatfield (Elementary Education), Mr. Al Romano (Science K-12), and Mrs. Caitlin Lazarksi (Food Services), Cory Allen of Habitat for Humanity, historical interpreters, and authors; Barbara Ann & Victor Mojica, Kimberly Sabatini, Stephan Bolz, Rebecca Green, NAACP award winning author/illustrator Miles Pinkney, Newburgh Free Academy Varsity Cheerleaders, and a Temple Hill Academy alumnus who is currently a junior at Newburgh Free Academy, West Campus, several service animals, and two Disney princesses, Elsa and Cinderella.